Financial management systems are designed to measure and report business performance, but sadly, most systems fail to fully deliver on this promise. The result? An inability to effectively deliver the right information to the right people at the right time. 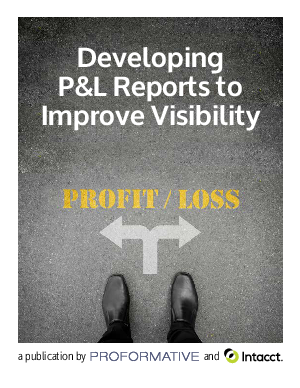 Don’t miss out on the proven strategies and best practices that you need to design a great management P&L report. One that establishes a common language throughout the organization and enables management to communicate their performance within the context of the business.